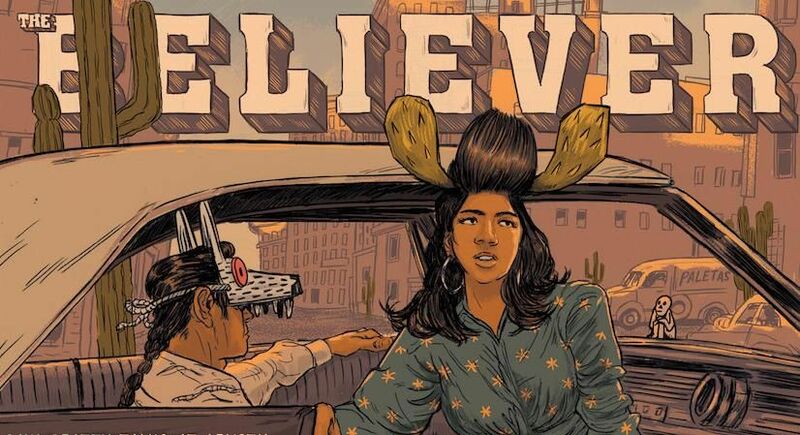 Founded in 2003, The Believer magazine gained a reputation for being an off-beat literary magazine with a commitment “to journalism and essays that are frequently very long, book reviews that are not necessarily timely, and interviews that are intimate, frank and also very long.” Founded by authors Vendela Vida, Ed Park and Heidi Julavits, and originally published Dave Eggers' McSweeney's, The Believer has featured contributions by Nick Hornby, Anne Carson, William T. Vollmann; columns by Amy Sedaris and Greil Marcus; and also interviews--like this one where director Errol Morris talks with filmmaker Werner Herzog. Now published by the Black Mountain Institute at the University of Nevada, Las Vegas, The Believer has entered a new era. It has launched a brand new web site and made its 15-year archive freely available online. It's a first for the publication. Enter the archive of the "highbrow but delightfully bizarre" magazine here.